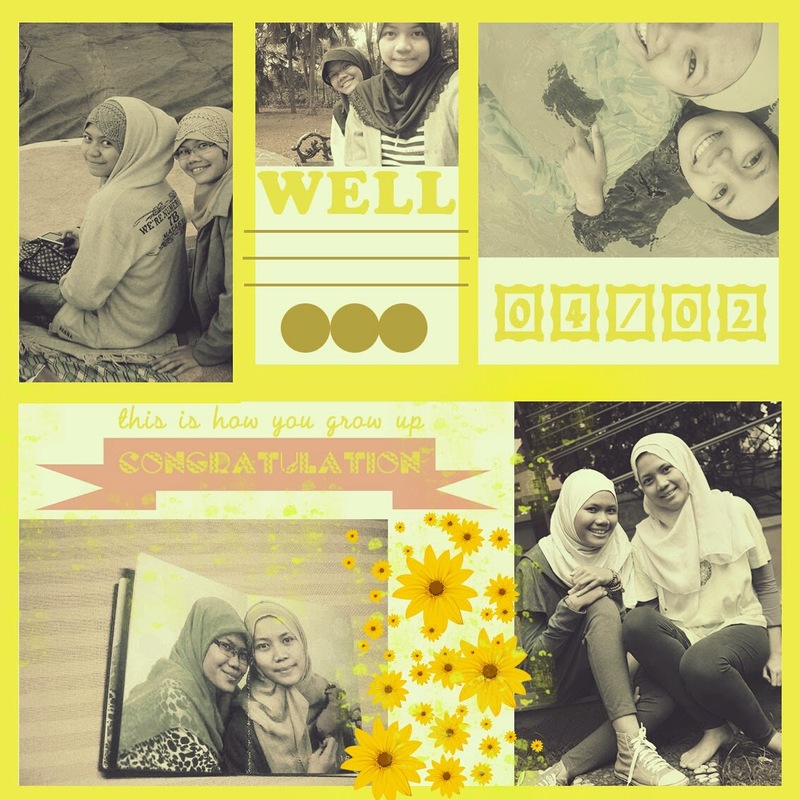 This day marked as my sister's day (I shared her blog here anyway, hm iklan). Actually we're not always stick each other. And we usually fight each other (yes, sometimes I yell at her). We never say cute thingy like "I love you", or "I miss you". But she often tell her story, though sometimes I don't really listen. Another time I ask her suggestion, though sometimes she's not helping. Well.. I just wanna said, whatever I did to you and whatever you did to me, in the end we both know that we're sisters. So no matter what (actually) we care each other, we support each other, and we send pray each other, right? (Iya aja lah udeeeh..) With different ways and unsaid words, family still the best gift that we got. Congrats, Allah let you live longer and make it sure that more flowers will bloom as you go on. Oke, gak akan pulang sampe Kak Farha lupa semua kata-kata ini.